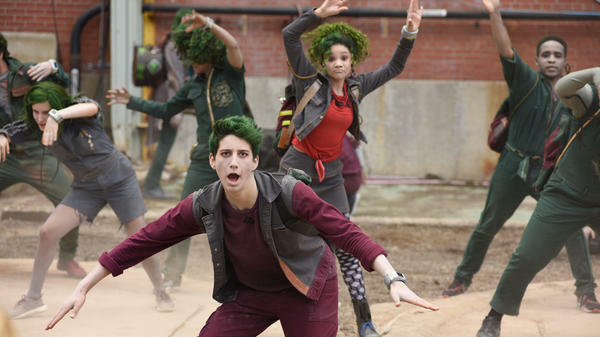 In Disney Channel's new original movie-musical ZOMBIES, a high school is integrated with zombie students, including the charismatic Zed (played by Milo Manheim). Evidently not. Just within the next two weeks, we'll see the return of the biggest basic cable hit in history — The Walking Dead, shambling back for its midseason premiere — and a new zombie movie starring Ellen Page (The Cured) and a Disney Channel musical about a teenage zombie heartthrob in love with a perky cheerleader. ZOMBIES is the second Romeo-and-Juliet zombie romance to come out in recent years. (The first was the excellent indie film Warm Bodies.) Bringing zombies into Disney's more tightly controlled brand was a challenge for Joseph Raso, one of the movie's co-writers. "The biggest thing we thought was going to be a problem was, like, brains," Raso says. "That zombies want to eat brains. We were going to put our flagpole on that. Zombies need to eat brains. It's just part of the lore. And Disney was like, 'Of course they have to eat brains!' "
Disney is somewhat late to the zombie party. Mattel and Nickelodeon have featured adorable zombie characters for years. Meanwhile, there is seemingly no end to the zombie movies and TV shows in the works, many startlingly specific. Netflix has announced a medieval Korean zombie series called Kingdom, premiering later this year. All of which raises the question: Why won't this zombie trend just ... die? I asked pre-eminent zombie scholar Sarah Juliet Lauro, a professor at the University of Tampa. She published her first academic paper on zombies a decade ago. "I never, ever thought that 10 years later, that zombies would be going so strong," she says. Back then, Lauro made sense of the zombie craze by thinking of it through the economic meltdown: how zombies reflected our insecurities, helplessness and fragile safety net. Then, when Barack Obama was elected president, she saw a kind of cultural backlash in the form of The Walking Dead's apocalyptic, end-of-government fantasy in which everyone is on their own. "And it really makes sense to have a gun in the basement because you really need it," she says. "And you have redneck characters who are heroes." The Walking Dead's audience has sharply dropped from its record-setting peak several years ago, but even so, it's still one of the top shows on television. Its spinoff, Fear Of The Walking Dead, starts its fourth season this spring. Meanwhile, few signs of zombie fatigue are evident in the publishing world. Author Justina Ireland has a historical zombie novel coming out in April, called Dread Nation, and a theory about why zombies remain so popular. "Every day is a new and terrible terror coming at you from the news, and it's just nonstop," she says. "I think people are feeling overwhelmed. And that's a great metaphor for a zombie invasion. Like, that is the iconic scene for a zombie invasion, a horde coming to overwhelm a town or a mall or a handful of survivors." Ireland admitted that she doesn't even like zombies very much. (They frighten her.) But she would like to see more stories about zombies rooted in their actual mythology in the trans-Atlantic slave trade. Haitian tales of the undead working in cane fields are part of that country's history of oppression and revolution. Ireland drew on those themes of power and powerlessness for Dread Nation, which is set during the U.S. Civil War. "The zombies really represent this idea of slavery and how we never really addressed it," she says. Slavery keeps rising up in the American unconscious, perhaps not unlike zombies rising from the dead. As for zombies' usefulness as metaphors, Ireland says it helps that they're so compelling. "And so it's really easy to talk about very difficult subjects when you have this cool, neat thing as the apparatus," she says. So it may be quite a while longer until zombies as pop culture phenomena have been done to death. Or, one might say: undeath. OK. Serious question - now, why are we still so obsessed with zombies? SIMON: Zombies have been shambling along for at least a decade - books, movies, TV shows, including the biggest basic cable hit in history. "The Walking Dead's" midseason premiere comes up next weekend. 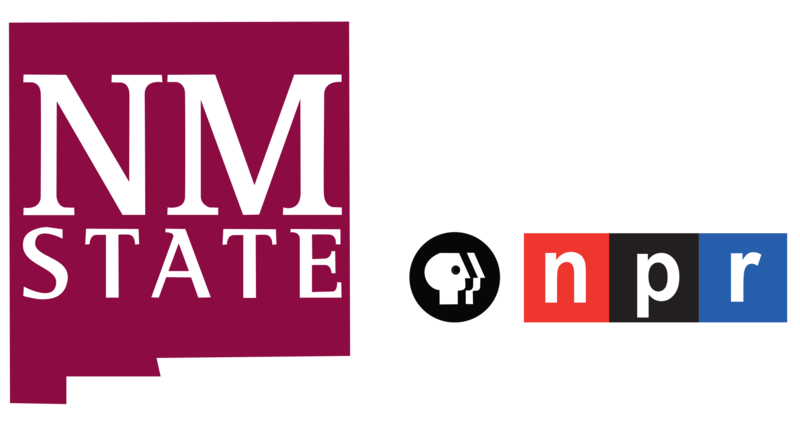 NPR's Neda Ulaby tells us that zombies show every sign of continuing to eat and occupy our brains. NEDA ULABY, BYLINE: You know the zombie apocalypse has hit a new cultural benchmark when a teenage heartthrob zombie on the Disney Channel starts dating a perky cheerleader. MEG DONNELLY: (As Addison) My parents have always taught me that zombies are disgusting, dead-eyed freaks, but you're not hideous at all. ULABY: The Disney movie "Zombies" premiered last night. It's the second "Romeo and Juliet" zombie romance to come out in recent years. Bringing zombies into Disney, such a tightly controlled brand, was a challenge for Joseph Raso, one of the movie's co-writers. JOSEPH RASO: The biggest thing we thought was going to be a problem is, like, brains - that zombies want to eat brains. And we were going to, like, put our flagpole on that. Like, zombies need to eat brains. That's just, like, part of the lore. It's so important. And Disney was like, of course, they have to eat brains. UNIDENTIFIED ACTOR: (As character) Son, try this - brains in a can. ULABY: Disney wouldn't let its zombies really eat brains. The canned brains are vegan substitutes. Disney's a bit late to the zombie party. And around 10 more zombie films for grown-ups are supposed to come out this year, including next week's "The Cured" starring Ellen Page. ELLEN PAGE: (As Abbie) There's so much chaos after the outbreak. ULABY: Why won't the zombie trend just die? I asked pre-eminent zombie scholar Sarah Juliet Lauro. She published her first academic paper on zombies more than a decade ago. SARAH JULIET LAURO: I never, never thought that 10 years later, the zombie would still be going so strong. ULABY: Back in 2007, Lauro made sense of the zombie craze by thinking of it through the economic meltdown, how zombies reflected our insecurities, our helplessness, our fragile safety net. Then when President Obama got elected, she saw a kind of cultural backlash in the form of "The Walking Dead." LAURO: Which has this sort of end-of-government fantasy where everybody's just on their own - and it really makes sense that you always had a gun in your basement because now you really need it. And you have redneck characters who are heroes. ANDREW LINCOLN: (As Rick Grimes) I'm keeping this group together - alive. ULABY: The audience for "The Walking Dead" has fallen from its record-setting peak of a few years ago, but it still counts as a monster hit. Its spinoff "Fear Of The Walking Dead" starts its fourth season this spring. And "The Walking Dead" still resonates. LINCOLN: (As Rick Grimes) This isn't a democracy anymore. ULABY: Nor is the world of publishing, feeling zombie fatigue with such high-profile bestsellers as "Pride And Prejudice And Zombies." Author Justina Ireland has her own historical zombie novel coming out in April and a theory about why they stay so popular. JUSTINE IRELAND: Every day is a new and terrible terror, like, coming at you from the news. And it's just nonstop. I think people are feeling overwhelmed. And I think that's a great metaphor for a zombie invasion, right? Like, that is the iconic scene of a zombie - is the hoard coming to overwhelm a town or a mall or, like, the handful of survivors. ULABY: Ireland would like to see more stories about zombies rooted in their actual mythology in the trans-Atlantic slave trade. Haitian tales of the undead working in the canefields are part of its history of oppression and revolution. Ireland's book is set during the U.S. Civil War. It's called "Dread Nation." IRELAND: The zombies really represent this idea of slavery and how we never really addressed it. IRELAND: Zombies are just really freaking cool. And so it's really easy to talk about very difficult subjects when you just have this really cool, neat thing as the apparatus. ULABY: So it may be quite a while longer, Ireland says, until zombies as pop culture phenomena have been done to death. JONATHAN COULTON, BYLINE: (Singing) All we want to do is eat your brains. We're not unreasonable. I mean, no one's going to eat your eyes. Transcript provided by NPR, Copyright NPR.